Size matters, and our catalogue just got much bigger! If you can’t find what you’re looking for in Gibsons or Sechelt Libraries, you can now search Interlibrary Connect before submitting an interlibrary loan request through Outlook. 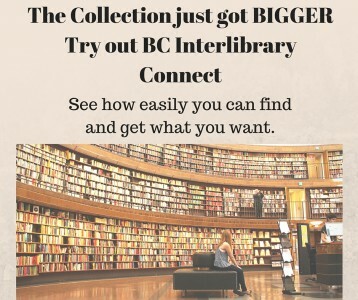 When searching in the Catalogue, change the “Library” from Gibsons or Sechelt to BC Interlibrary Connect, which is at the top of the drop-down list. Once you find the item you want, simply place a hold, and the book, movie or music will be sent to your home library for pick-up.